Jafar Helwan is 11. He is from old Mosul, the western part of Mosul. He lived here with five siblings, mother and father. His father is a day worker. Their house was partly destroyed by coalition airstrikes about a year ago. That was when Jafar got shrapnel in his shoulder and knee. He can still feel it in his shoulder. He has not been able to go to school for three years and works as a baker apprentice with his uncle. When we meet him he is visiting his uncle. I hate all the destruction. I want to become a baker. I would like to have my own home. A few ice cream vendors have opened in Mosuls old town, which was subject to the heaviest fighting during the offensive against Daesh. 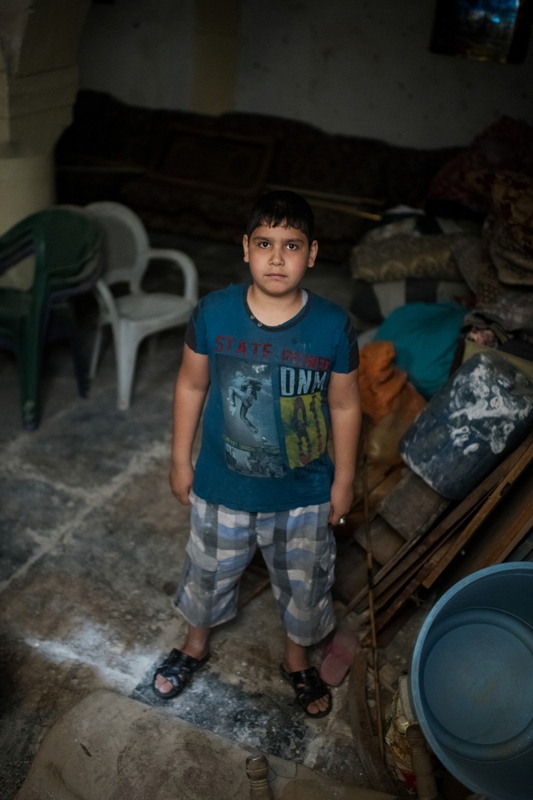 Mustafa Walid, 10, lives with his father, mother and three siblings. His dad is a painter and his mom a house wife. They used to live in old Mosul but had to flee to the eastern oarts when Daesh entered their neighbourhood. We meed Mustafa and his father in old Mosul. I love my neighbourhood old Mosul. It is my old neighbourhood. I hate Al-eiser. 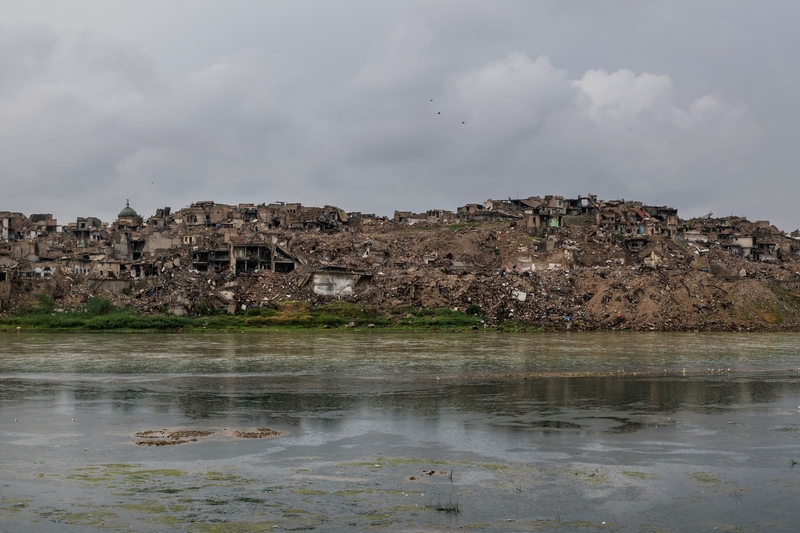 (The name of the eastern part of Mosul). The rents are high and the people is not very nice. To work with your father? To live in a castle. Anywhere in Iraq, just not east Mosul. 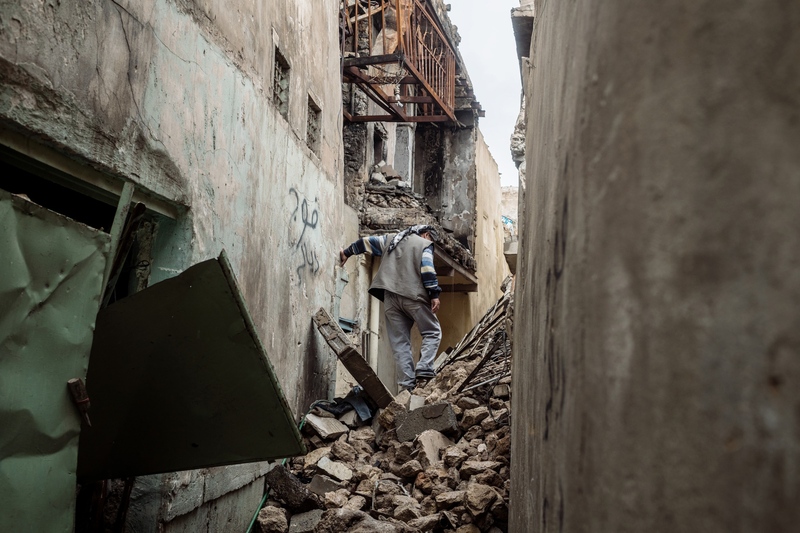 A man climbs through debris and rubble in an alley of Old Mosul, much of which was destroyed by coalition airstrikes during the liberation from ISIS. 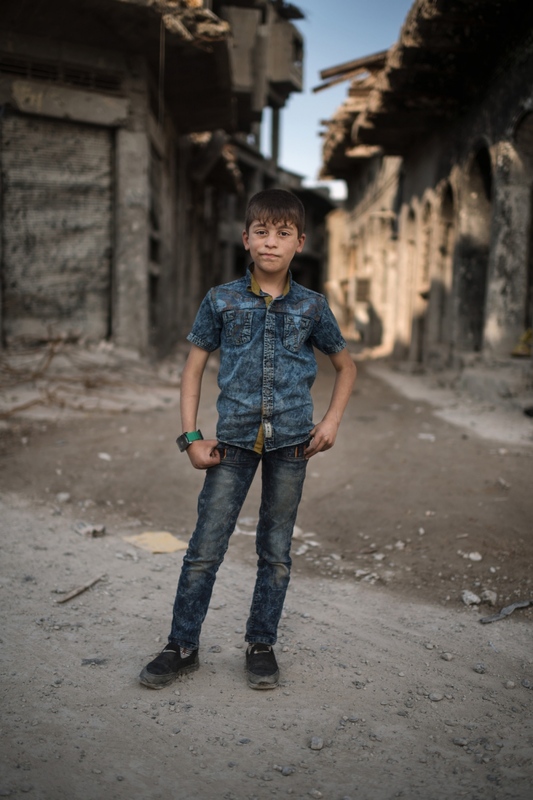 Mohammed Hareth, 12, lives in the eastern part of Mosul with his father, mother and four siblings. His father is a civil servant ut out of a job right now. My bicycle and my books. What do you want do when you grow up? To live there, I want a bigger house. 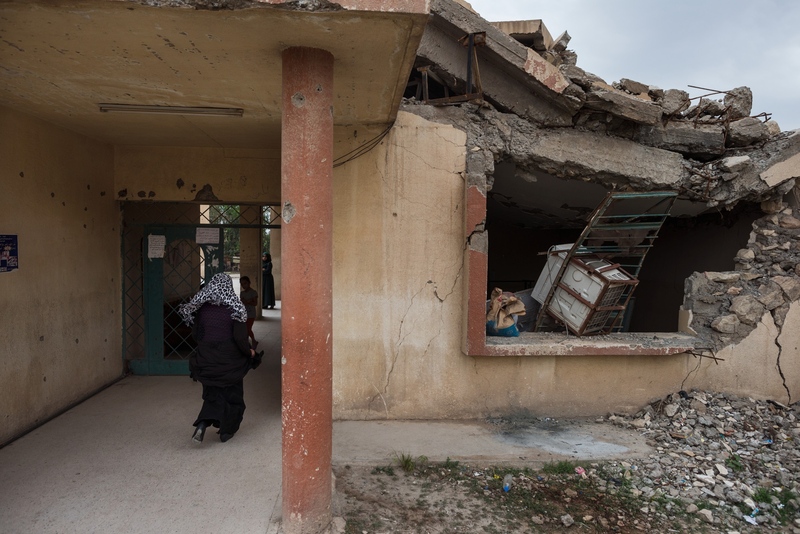 A teacher enters the Risala girls school in West Mosul. The school is one of few open in Mosuls old town, which was subject to the heaviest fighting during the offensive against Daesh. Ghuffran Ahmed, 12. Her family consists of nine girls and three boys. His mother is alive, but his father was taken by Daesh when they first took Mosul, they don’t know if he is dead or alive. 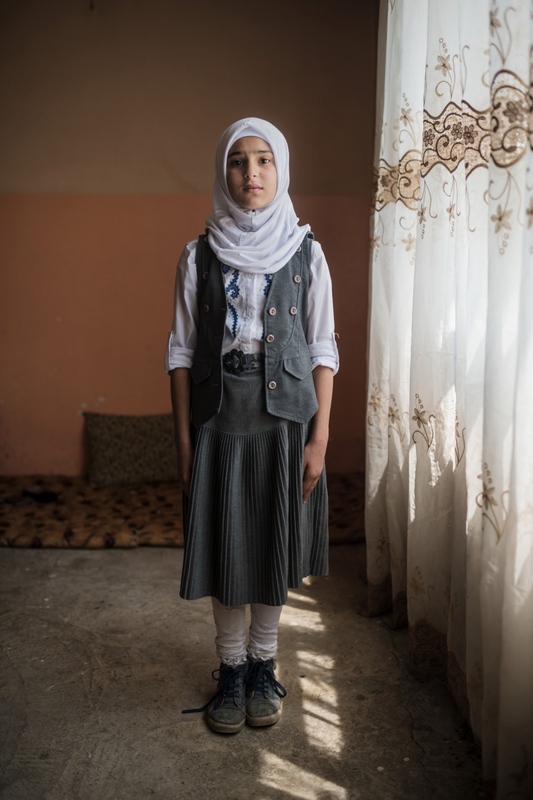 She lives with her uncle in the eastern parts of Mosul. We meet her in east Mosul. My clothes, my laptop and my toys, but most of all the computer. I use it to play games and do homework. I like to jump rope and to swim and to help mom and do my homework. I hate war and lies. I dream about finishing my studies. Which university do you want to attend? Why do you want to study there? Because it’s a really good university. 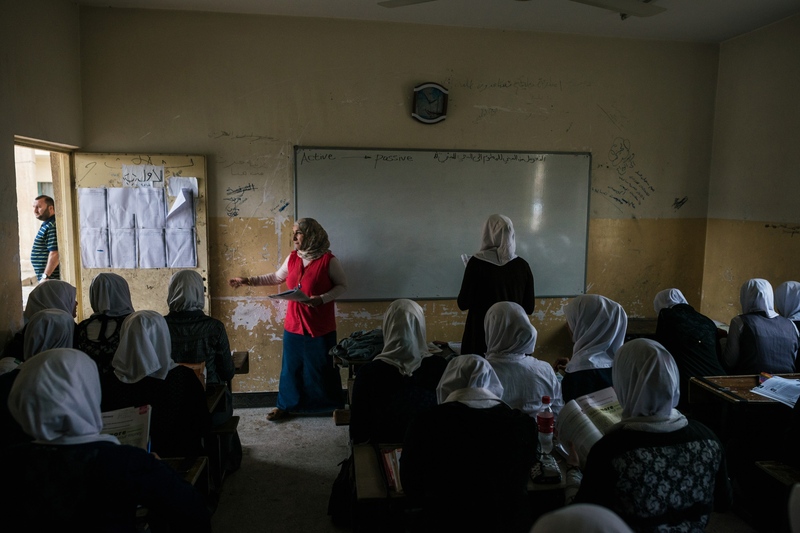 Selwa Abdughani, english teacher at the girls school Risala in Mosul. The school is one of few open in Mosuls old town, which was subject to the heaviest fighting during the offensive against Daesh. 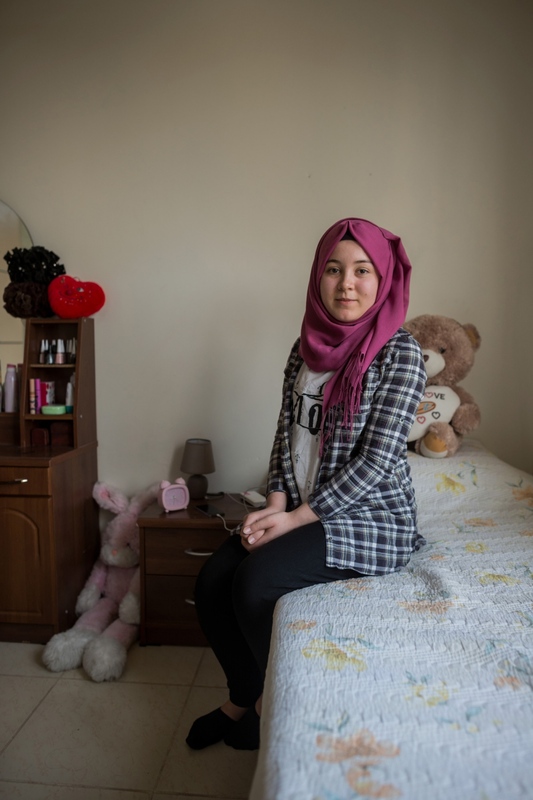 Marwa Nashwan, 17, lives in the outskirts of Mosul together with her mother and father and three siblings. Her dad works in construction and her mother studies for high school grades. 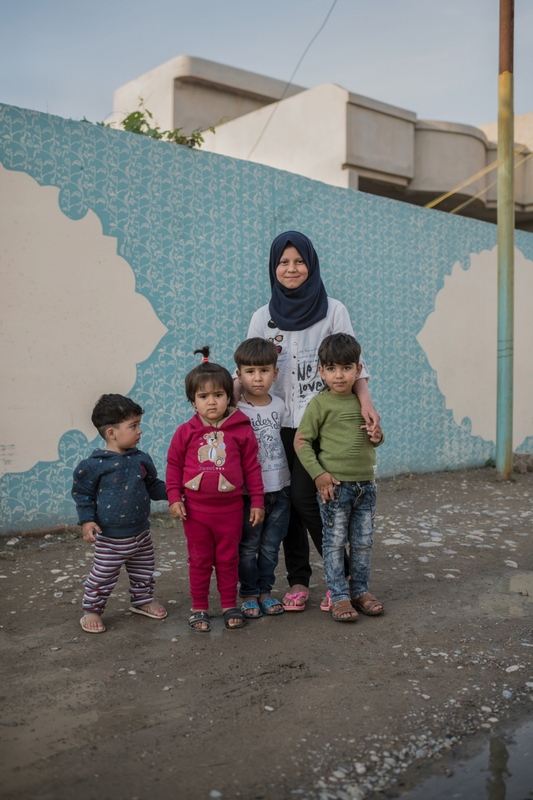 When Daesh overtook her village in June 2014 the family had to flee. During three years they have had to move six times. They moved ack to their home at the end of last year. 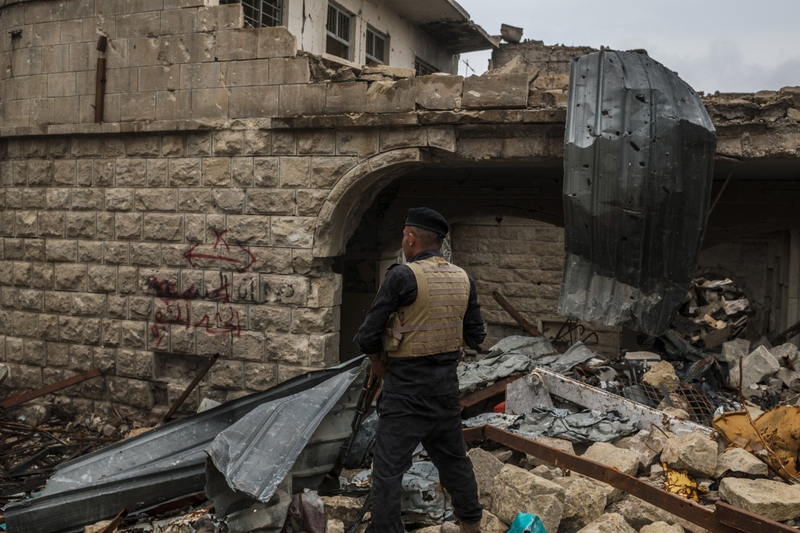 Upon returning all their furniture and machines had been either destroyed or stolen by Daesh. We meet her in her home. The most important thing is security! Because of war my family have suffered a lot. We had to flee when Daesh took our village. I like to help my mom with the house, do my homework or chat with friends on the internet. Friends will shun you for being either sunni or shia. We felt it especially when we where refugees in southern Iraq. It even happened that my long time friends withdrew themselves. A lawyer! I want to help people being victims of sectarianism. I dream of finishing my studies to be a lawyer. Most of all I dream of change. I would also like to bee better in English, I am not good at English. What do you hope to achieve as a lawyer? I hope to be able to solve the problems in Iraq coming from sectarianism. I want to end sectarianism. That’s why I want to become a lawyer. I want anyone to be able to live anywhere. A police officer just fired a shot in the air to scare of a looter in the alleys of old Mosul. Susan Khalouq Jawdat, 11 years old, with her siblings and cousins. She lives in the eastern part of Mosul with her mother, father and three siblings. Her dad is self employed and her mother a house wife. They had to flee when Daesh took their village in June 2014, when they came back all their things were gone or destroyed on account of Daesh occupying their house. We meet Susan in her home. I had a doll that I loved. I got it from my father. But I lost it when we where on the run. I like to play with my siblings and to paint and draw. I want to be a math teacher. I like mathematics. Decent, she shyly says. I have about 70 to 90 percent. (Iraq has a grading system based on percentages, where 100 is they highest grade). I dream to grow up, become a teacher and help people. You are 11 years old, what do you dream of in the near future? I dream about passing school. You have been forced to move a lot in the last three years, have you missed a lot of school? Was it hard to get new friends at school? The first weeks it was a bit hard to connect with, but the third week there was no problem. 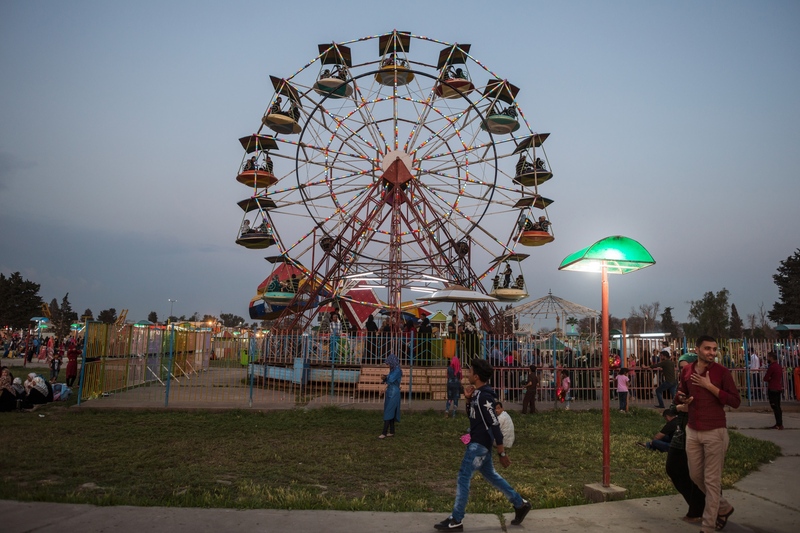 The fun fair in Mosul was ruin by Daesh during the occupation, but since the liberation the number of visitors have increased to even higher numbers than before Daesh, says the manager. 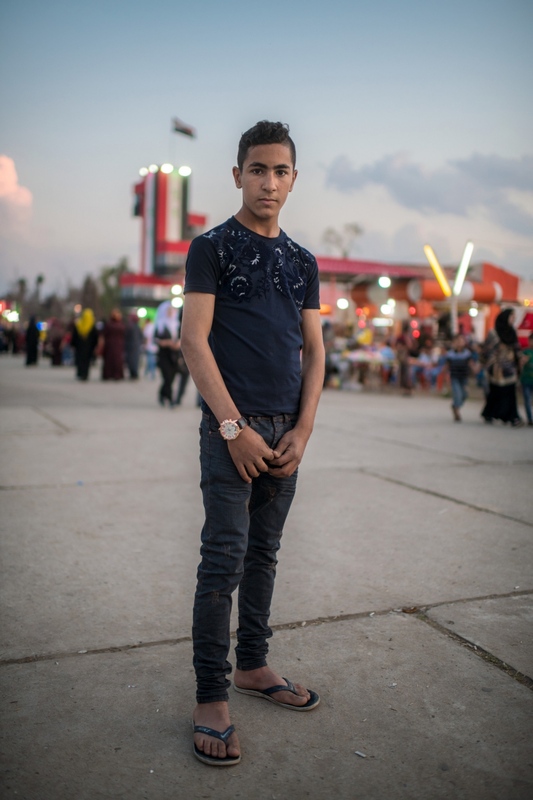 Ali Jamal Aboud, 15 years old. 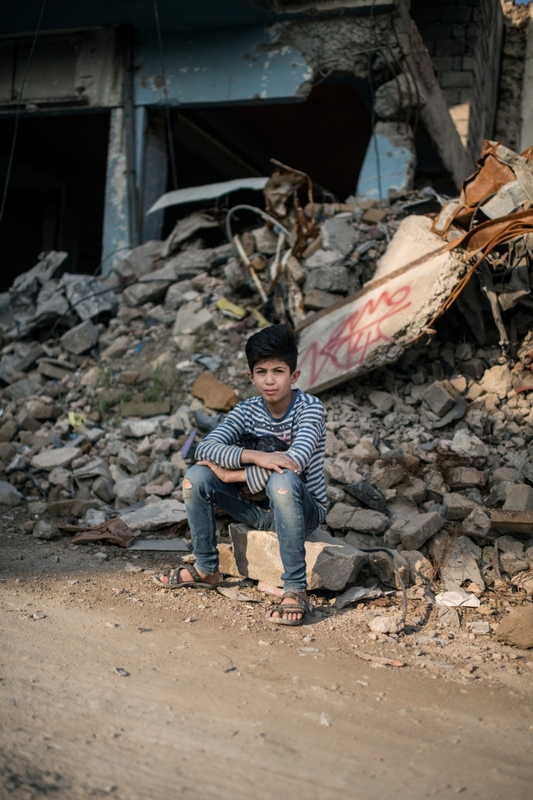 Lives with four siblings and his mother in old Mosul. His father is dead. He has not been able to attend school because the family have been forced to move around. Nu they live in their old house, which is partly destroyed. They live in two rooms that are still somewhat intact, but there are no doors or windows. They have lived like that for five months. His father was a merchant, and was killed when Ali was young. His mother works as a seamstress. Ali works 12 hours per day, as a metal worker, to sustain the family. He makes around three to four dollars per day. We met him a Friday at a fun fair in Mosul. A mobile phone, but I can not afford to buy one. I like to play soccer and to meet my friends. But I work between seven in the morning and seven in the evening, so I don’t have any spare time. My uncles, even though they are well off they won’t help us. Once we had to live three days in a garbage room, and they didn’t even help us. Growing up and becoming a doctor. Children of Mosul - Life after ISIS in a city of ruins. 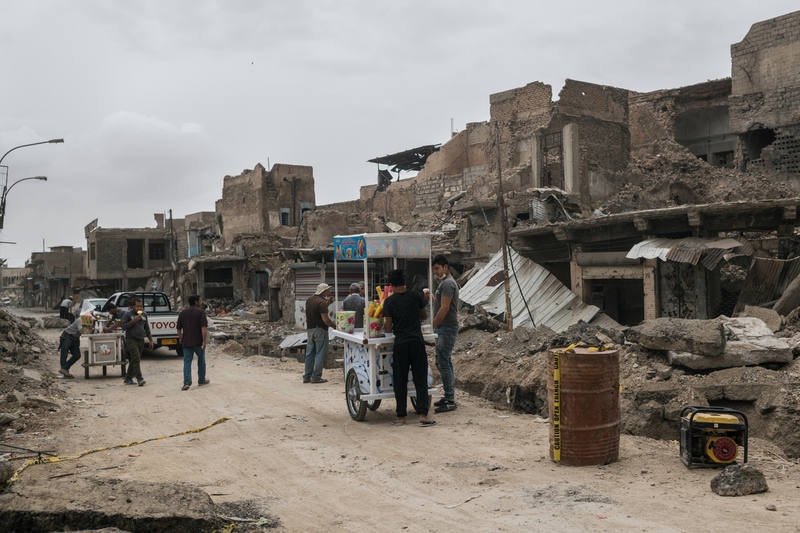 Almost a year after the liberation of Mosul, the old city is still in ruins, dead bodies are buried in the debris and even lying in the streets. But the schools are opening up and the amusement park is open again. Life and hope is slowly starting to return. In this series we have interviewed the children in Mosul.